Hi Nikki! 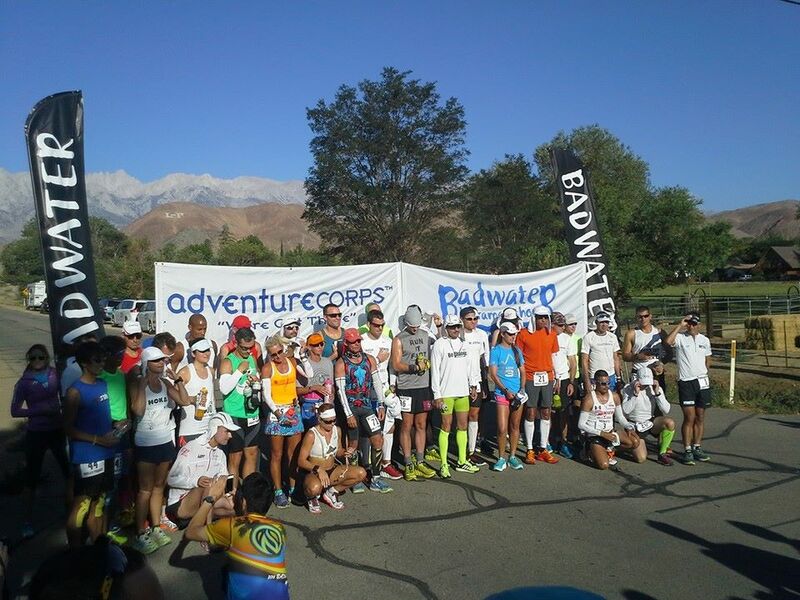 Welcome back and congratulations on completing Badwater 135. FN: So let us know, how did you go? What time did you run and where did you finish? FN:You had a strategy to run the flat and walk the hills did you stick to that plan? NW: I sure did and I really think this was the one thing that helped me to finish so strong. The first hill was forty kilometers long and very steep, I walked most of this and took it very easy coming down. A lot of people went hard early and blew themselves up. FN:Heading over eight weeks early had the potential to blow your diet and training regime out of the water. Its hard enough to find a new running track around Melbourne let alone in another country all together. How did this effect you? NW: We arrived about 5 weeks before my race which was at times very hard. 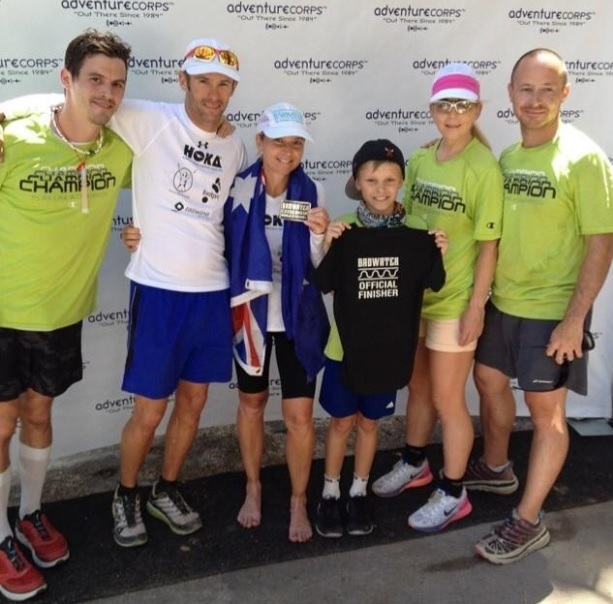 My partner David Eadie ran the Western States 100 milerace 10 days after we arrived (I paced him for the last 60kms) so once his race was over he was happy to not run and eat ice-cream! We actually did a lot of research and found some amazing places to run, so it was actually great to be training in new locations, it was so much fun….annnnd lucky for me I’m not a big ice cream eater!! FN:Did you feel the heat, wind, sandstorms, cold nights? NW:It’s funny, it was hot,around about forty degrees or more during the day but my crew looked after me so well I never felt the heat. I was wearing a legionaires hat and long sleeves but my crew keot spraying me with water to keep me cool. We hit one sandstorm as we were running out to the second climb which was pretty nasty and luckily for me it was a very very mild night and I was in a singlet top most of the night. FN: How many pairs of shoes, socks and clothes did you go through? NW: I kept the same socks on for the whole race and only changed into a pair of trail Hokas’ wjen I had a 12.5km climb up to Cerro Gordo. I did this because it was quite a rough and rocky road which needed the further grip of the trail shoe. I changed from a singlet to a long sleeve top as it got hot and then once it cooled back down I donned the singlet again. I also started off in loose shorts and then changed into compression tights as my legs started to fatigue a little. FN: How many kilojoules did you expend/ take in – did you experience any weightloss? NW: I have no idea. I was using Tailwind Nutrition for most of the race and was just eating small amounts of food as per Konsita’s (Dietician) food plan which I must say was amazing and I think was a huge part of my success in this race. During the race I think I lost about 3 kilograms. FN: How did Daniel cope with mum being away so long? NW: Daniel came along with us to the States and he had an amazing time and was such a fantastic crew member. I was excited to have him running there and at one stage he played a song to me out the window of the car while I was running and it made me laugh and put a huge smile on my face. FN: Any injuries, DOMs, chaffing you had to deal with? FN: You said you don’t usually get blisters in the last interview, did this statement hold up? NW: Hahaha well maybe I shouldn’t have spoken too soon. Unfortunately I got the worst blisters I have evergot in a race, basically both my feet were covered and it was really painful at tbe end. I didn’t want to stop so I just ran with them and took neurofen to try and ease the pain. FN: Before you left we thought you were the only Australian to gain entry, did you know or meet the other Aussie who raced? NW: There were actually two other Aussies in the race, both of them dont live here. I did meet both and they were both amazing people and I think us Aussies always have a great bond. Jim Shroeder was the older of the two who unfortunately had a DNF due to an ITB issue. Jim was actually born in Iowa and moved to Henley Beach of South Australia from January 1997 to January 2007 for work. Jimis currently a Research Professor of Florida Tech. He is an amazing man and has run 114 marathons and ultramarathons, he has also recently a book. FN: How long after finishing did you get out running again? What distance/ time? NW: I took a week off after Badwater 135, we finished on the Tuesday afternoon and I was back running the following Tuesday morning. I think I did an easy 45min. Since then I have resumed back into my normal training doing 30km last Saturday and 42km on the Sunday. FN:What have youdecided is the next focus? Gobi, Sahara, Antartica would see you cover the other three hardest deserts. NW: My next focus for now is the 100km World Championships. I have been selected to represent Australia in Doha on the 21st November. 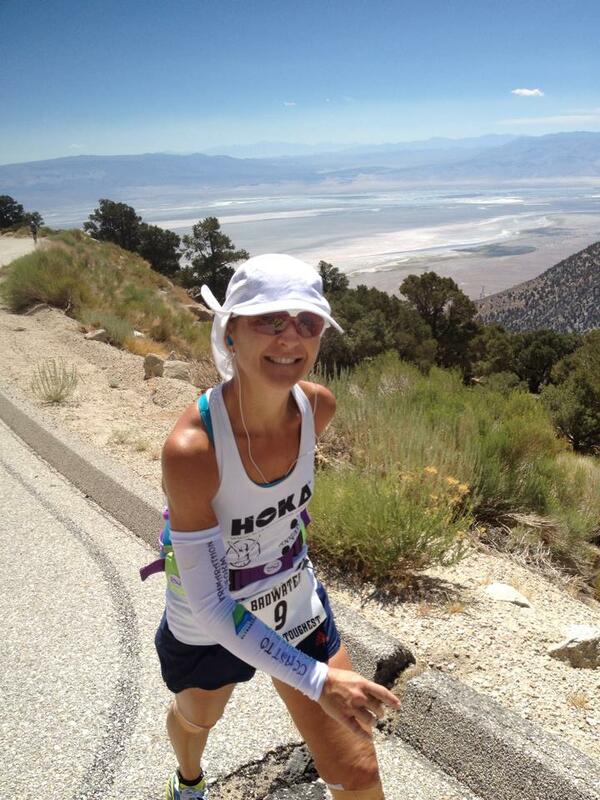 I will need to alter my training from my Badwater training with the focus on more speed work and shorter “longer” runs. In between now and then I have a few races which I will just use as training runs. FN: Thanks once again Nikki, we’ll stay in touch and keep an eye out for how you go in the World Champs! If you have any quehstions for Nikki please post them below, also stay tuned as we investigate the evidence of gait re-training for runners in ofur next blog.